GuardTek SuperSkin High Dexterity Perfect Fit work gloves with unique Skin Contouring Technology for absolute perfect fit and feel. 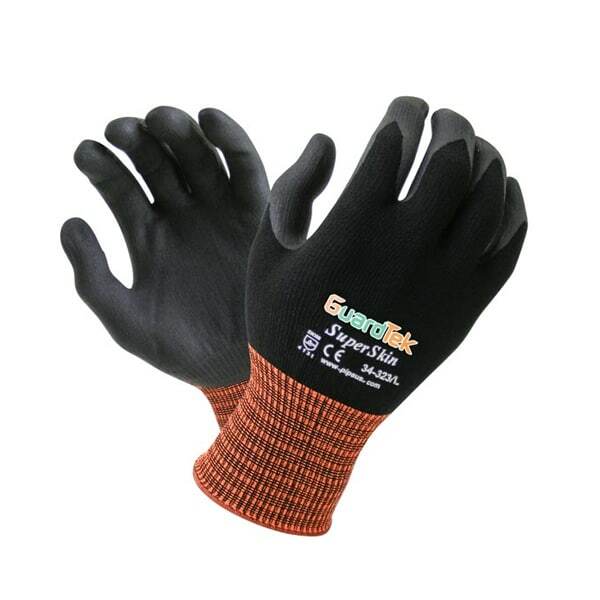 Maximum wearer comfort and sensitivity provided by these next generation work gloves. 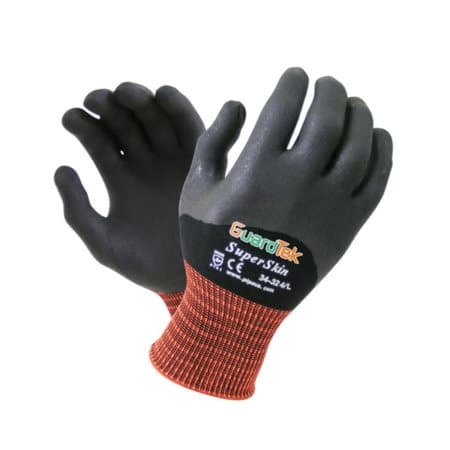 GuardTek SuperSkin shape to each individuals hand surface, thanks to the ability of the glove materials to mimic the hand and fingers perfectly. New sports inspired Lycra / Spandex blended seamless knit liner is coated with our patented GuardTek® micro-porous nitrile. 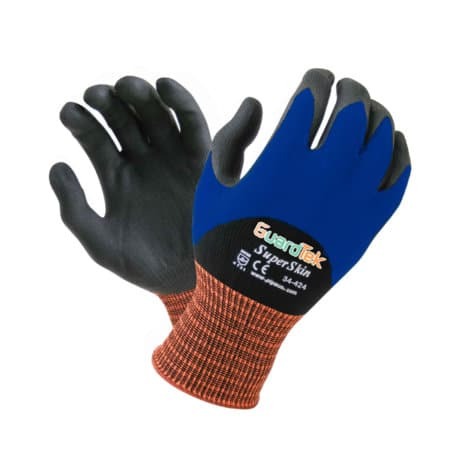 GuardTek SuperSkin High Dexterity Perfect Fit work gloves have a Sanitising treatment internally to restrict bacteria growth and odour. The outer shell is also treated with a water repellent coating to reduce oil and sludge ingress. The high quality extra length High Visibility Orange colour wrist cuff has a self sealing closure to stop entry of dirt and debris inside the glove. Precise Fit for every hand – Skin Contouring technology allows the glove to mould to your individual hand shape. 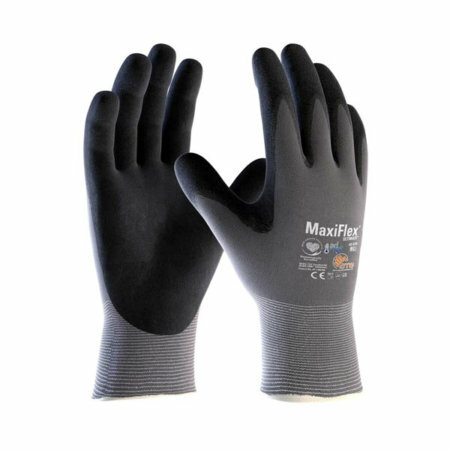 Breathable micro-porous nitrile coated palm and fingers for exceptional tactile sensitivity and maximum dexterity. Anti Microbial infusion with high water vapour transmission keeps hands cool and hygienically dry. “second skin” fit and feel. 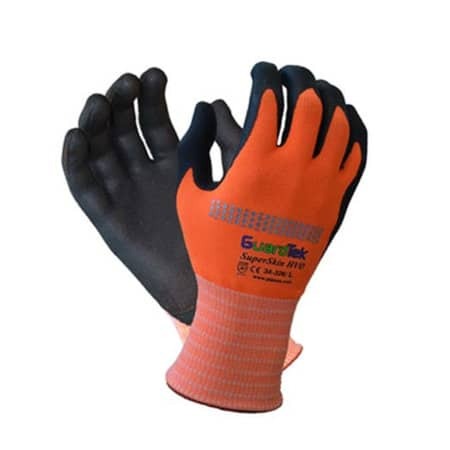 Seamless polyamide/spandex liner (15 gauge) with micro-porous nitrile coating on palm and fingers.